Since forming in summer 2010 the Ovas have made it their mission to cycle for the purpose of healing, reclaiming their neighborhoods, and creating safer streets for women on the Eastside. At first only attracting a few local women, over the past few years the Ovarian Psycos have inspired a ferocious and unapologetic crowd of local heroines who are a visible force along the barrios and boulevards of Los Angeles. 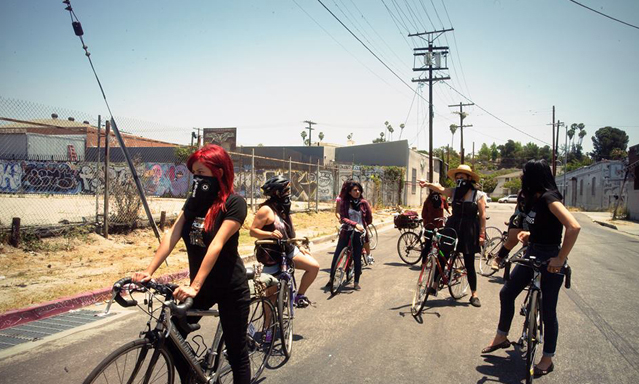 OVARIAN PSYCOS rides along with the Ovas, exploring the impact of the group’s brand of feminism on neighborhood women and communities as they confront the violence in their lives.